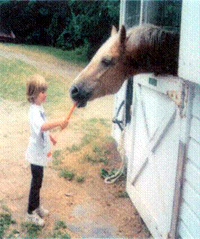 Each day in our Summer Camp is all about horses. Your child will receive an hour long Riding Lesson, followed by training in horse handling, equine first aid, feeding, leading, lunging, trailering, showing, breeds, colors, diseases, emergency training and overall horse farm skills. 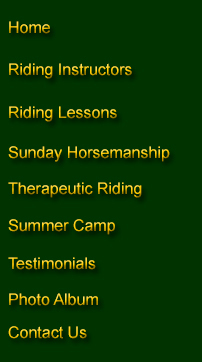 The riding lessons will be tailored around your child's experience. Beginners will learn all the basic skills of mounting and dismounting, steering, walking and trotting. More experienced riders will walk, trot, canter and jump. In just a very short time your child will be riding independently. You will be amazed at how much they will learn and how quickly they will know the horses by name, breed and color. Reserve your Riding Times throughout the summer.